of the UK and Ireland. 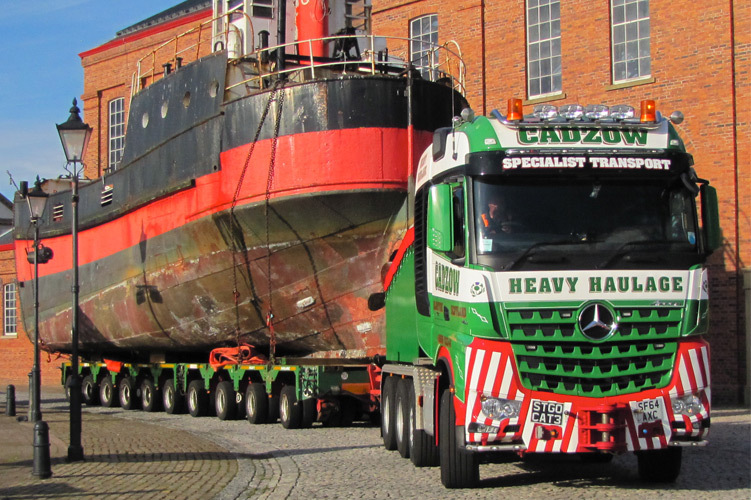 Cadzow – the Heavy Lift Champions! 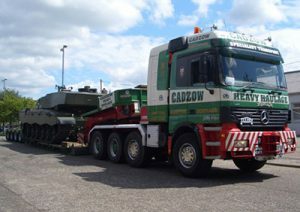 Cadzow Heavy Haulage are Scotland’s experts in Heavy Haulage. 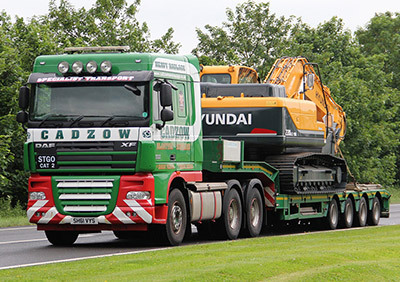 An unbeatable range of Haulage services throughout the UK and Republic of Ireland. 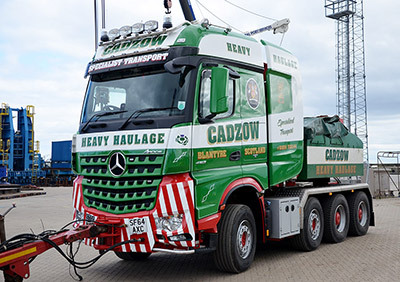 At Cadzow Heavy Haulage we’ve been at the forefront of haulage services since 1957 and are trusted by some of the the UK’s top companies to deliver safely and on time, time and time again.. 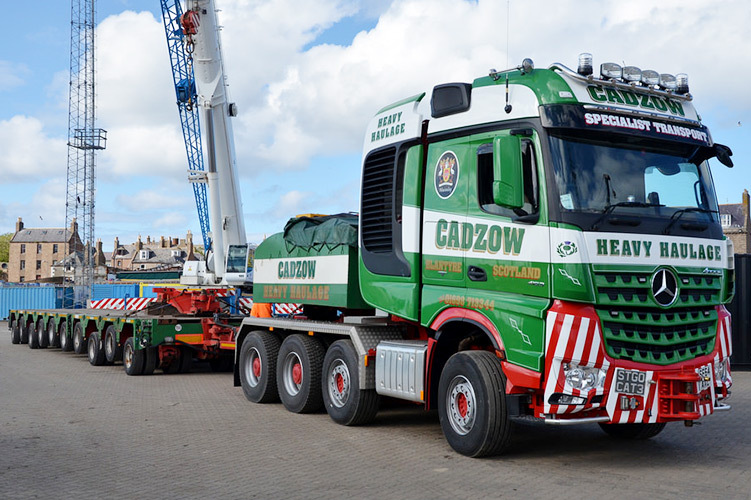 Since its inception in 1957 Cadzow Heavy Haulage has grown to be Scotland’s largest and most successful transport and specialist Heavy Lift company. As experts in transport, logistics and project management our experienced team of professionals understand the needs and expectations of our customers, and have the knowledge and expertise to overcome the daily challenges involved in delivering on time, and on budget. Our team of specialists are constantly investing in skills and equipment to ensure we meet the challenges of the modern heavy lifting sector. Our modern fleet offers reliable service and our highly trained operators have the knowledge and experience to ensure that all loads are expertly moved throughout the UK. 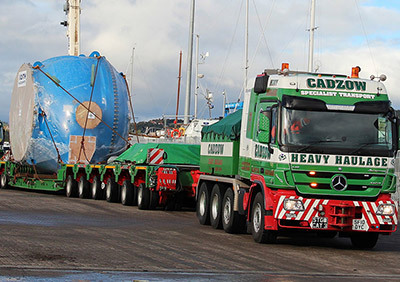 We specialise in the planning and transportation of heavy, challenging loads. We have a large, modern fleet of state of the art vehicles ensuring that our service is as reliable as possible. Our support service offers super fast answers and the comprehensive network of specialists we can call on ensures that if a repair is required it’s done extremely quickly and with an absolute minimum of downtime. We provide a 24/7 service and guarantee to be there when you need us. Our staff go the extra mile to ensure every job runs smoothly every time. 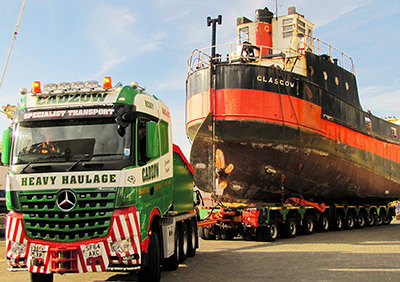 Our reputation for excellence is what’s kept us in business for almost 50 years and why we’ve become Scotland’s favourite heavy haulers. 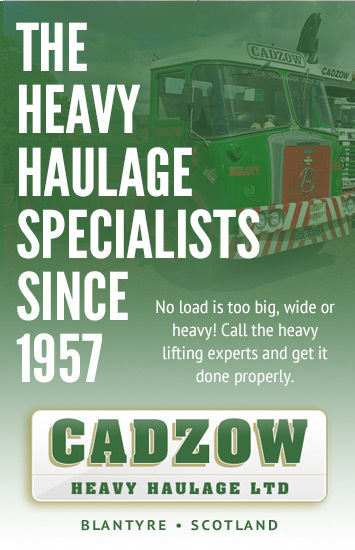 If you need something moved, whether it’s small, large or really very large indeed, give the experts at Cadzow a call on 01698 713 344. We would be delighted to discuss it with you.